HARRISBURG, August 1, 2018 — Looking to stop the spread of undetectable and untraceable 3D-printed guns, Senator Vincent Hughes (D-Philadelphia) and Senator Wayne Fontana (D-Allegheny) plan to introduce a bill to ensure Pennsylvania’s Uniform Firearms Act applies to 3D-printed guns. 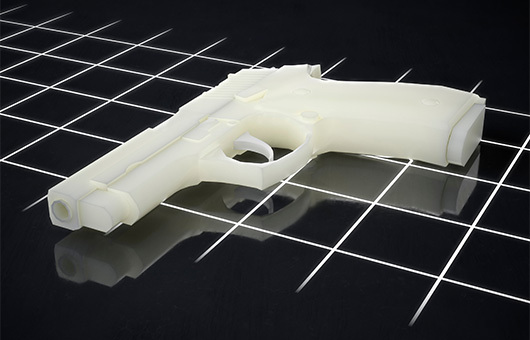 The proposal from Senator Hughes and Senator Fontana would amend the definition of a “firearm” in Pennsylvania’s Uniform Firearms Act to include 3D printed guns. The legislation would also prohibit anyone from printing a 3D firearm unless they have a firearm manufacturing license from the federal government. Gov. Tom Wolf, Attorney General Josh Shapiro and Pennsylvania State Police successfully blocked access to 3D gun files made available by Defense Distributed, following an emergency hearing Sunday in federal court. At that time, more than 1,000 people across the U.S. had already downloaded 3D plans for AR-15 semiautomatic rifles, according to the attorney general’s office. According to the lawsuit state officials filed in U.S. District Court for the Eastern District of Pennsylvania, anyone can become a member of Defense Distributed for a nominal fee. Once signed up, members pick a username, password and supply an email. At no time do users provide proof of age, a valid gun license or a permit-to-carry number. Eight other states and the District of Columbia sued to block access to 3D printed guns and a federal court judge in Seattle issued a temporary restraining order Tuesday preventing online publication of blueprints for the 3D guns. In 2015, a writer for Wired created an untraceable AR-15, dubbed a “ghost gun,” for less than $2,300 using a blueprint from Defense Distributed and a mill the company created, which sold for $1,500.